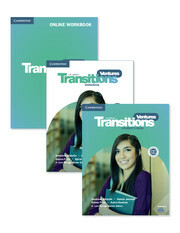 Get three essential student components at a discount when you purchase Ventures 3rd Edition Transitions Super Value Pack. 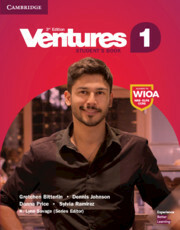 The Student's Book has lessons aligned to teach students the skills needed to meet CCR standards, with culture notes, speaking, reading, and writing tips to support exercises. Students can access audio and grammar presentation videos using the QR codes found throughout the book. The Workbook and Online Workbook has exercises to help reinforce lessons in the Student's Book. Instant feedback in the Online Workbook saves time for teachers and they can easily keep track of student progress using the Gradebook.